Man Utd boss Jose Mourinho could be set for a timely boost with a trio of key figures in line to return against Tottenham on Monday night. 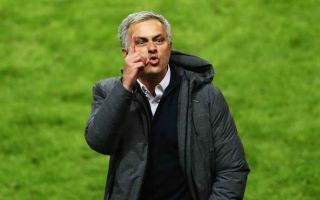 The Red Devils began the Premier League campaign with a 2-1 win over Leicester City a fortnight ago, but defeat to Brighton last weekend has arguably undone that good work. In turn, the pressure will be on them to produce a response against Spurs at Old Trafford, as they will not want to drop any more points at this early stage of the season with their title rivals looking strong already. With that in mind, as per freelance injury analyst Ben Dinnery in his tweet below, Mourinho could see his options bolstered as Nemanja Matic, Antonio Valencia and Alexis Sanchez are all in contention, as per his press conference on Friday afternoon. Given the influence that the trio have on the side, it could be huge for the Red Devils to have them back involved in what promises to be a difficult game at home against Mauricio Pochettino’s side who have won both their opening games. Particularly with Andreas Perreira playing out of position in a deeper midfield role, Matic returning to add solidity and presence alongside Fred and Paul Pogba could be a fundamental factor in Man Utd getting back on track and silencing their doubters in the coming weeks.